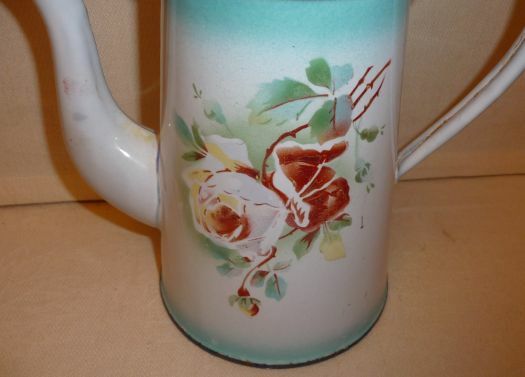 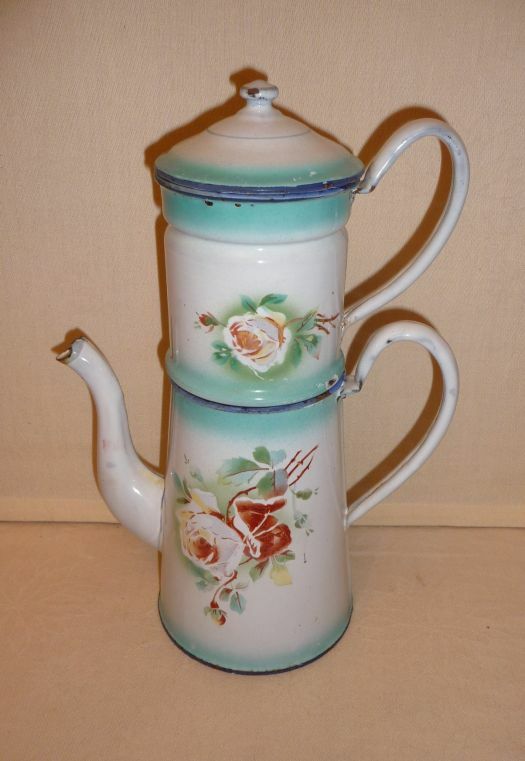 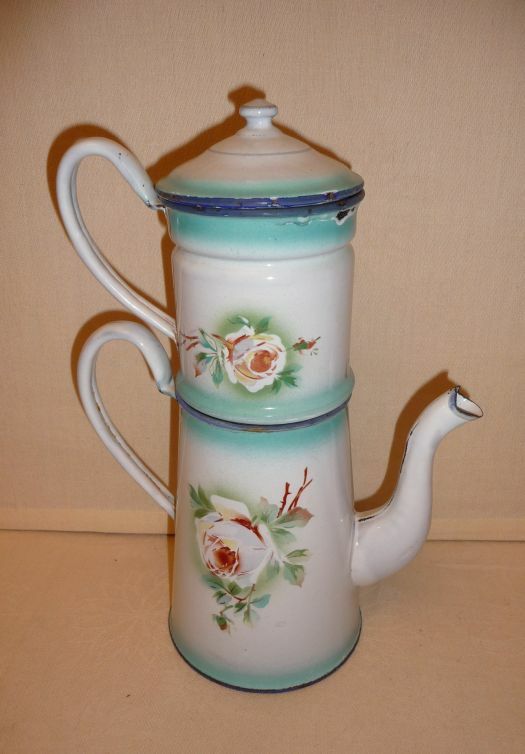 Nice floral coffee biggin, white and green shaded with rose design. 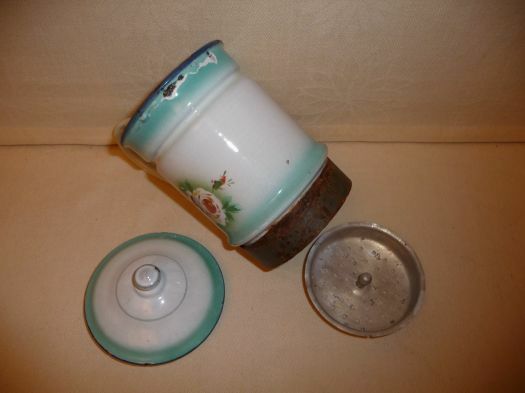 Condition is OK, in spite of some discrete chips ; iron filter is rusted and in bad condition. 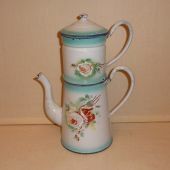 You may request other photos.